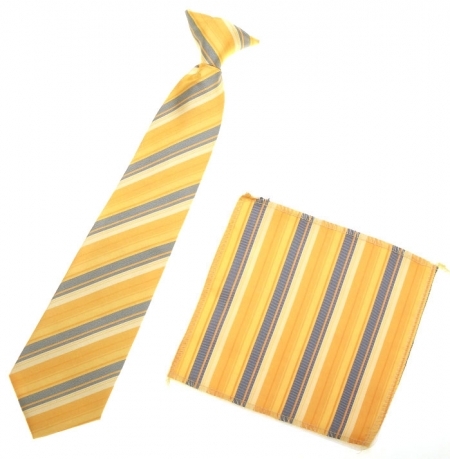 Boys yellow Tie with gold and grey stripes pattern. 10"/25.5cm (including the knot). Suitable from 3 year to 6 years. Easy clip-on design.